I'm listening to headphones through an amp with the Korg tube in it now and this design is really tempting. 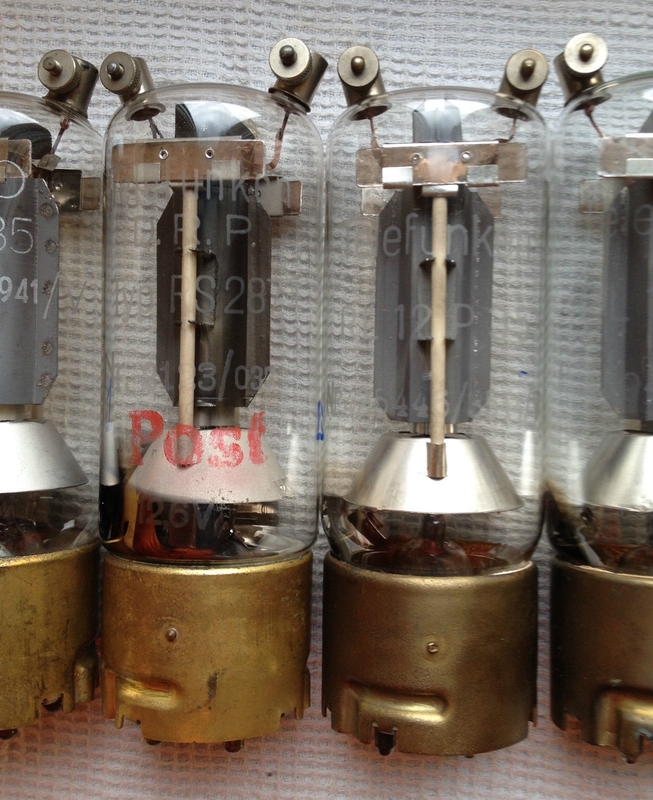 These tubes are pretty microphonic so some sort of cushioning for the mount might be helpful. When the delay relay kicks on the sound on the amp I have I get a high pitch 'ching' sound through the headphones if I don't have audio on it yet. Turning the power switch off gets an even louder sound. I'm not sure what the side effects of connecting the tube with wires rather than just the pins would have but that would not only help but also allow placement of the tube so it could be seen glowing. and he sent me a picture of the preamp on display at RMAF. Thanks a bunch Mr Pass ! What about RMAF acronym is ? Was the presentation of Designers work who use Nutube i guess. Please 2SK370 or 2SK170 what is Idss range for B1 Triode. and they arrived quickly enough. but they do recommend an absorptive pad. 400K, and can probably pick up the electrical noise from any switching. On the buffer that I built with Millet's PCB I have to really tap the tube hard and have the volume full with audio paused to hear any hint of sound. With the headphone amp also using his PCB if I have the audio paused, volume at 1/4 and just brush my finger against where the headphone is plugged in I get a faint ringing sound like tapping on a crystal glass. Contact with any component on the PCB generates a similar sound. If I tap directly on the tube with the volume on I can hear the 'cling' in the background of the music. My 6p1 microphonic as I also have Millet's headphone board and I can heard a zinging sound whenever I turn the volume or just touch the chassis. Transferring the board to a wooden box reduce the zinging sound by quite a bit, probably the previous metal case resonates easier. When mounting the 6p1 best to try to isolated it as much as possible, IMO. BTW, is the input stage before the 6p1 really necessary? As I have seem a Japanese schematic with dual 6p1 pre channel running at full 80V plate (with 620k plate resistor and pin 9 has 43k parallel with 330uF to ground) and both the grid is directly connected to a 100k pot. but frankly, who knock the glass or shake his preamp in everyday listening. My 2A3 DHT mono blocks amplifiers or triode preamp are quiet ones. With SMPS outside the box result is very little mechanical vibrations and risks to get microphonic phenomena.